Late winter and early spring are the primary times when brown root rot, also known as snow mold, may be damaging Northern New York alfalfa, a highly valued forage crop for dairy cows and other livestock. With funding from the farmer-driven Northern New York Agricultural Development Program, Cornell University researchers are evaluating opportunities to develop alfalfa that is both adapted to the colder Northern New York climate and able to resist brown root rot. 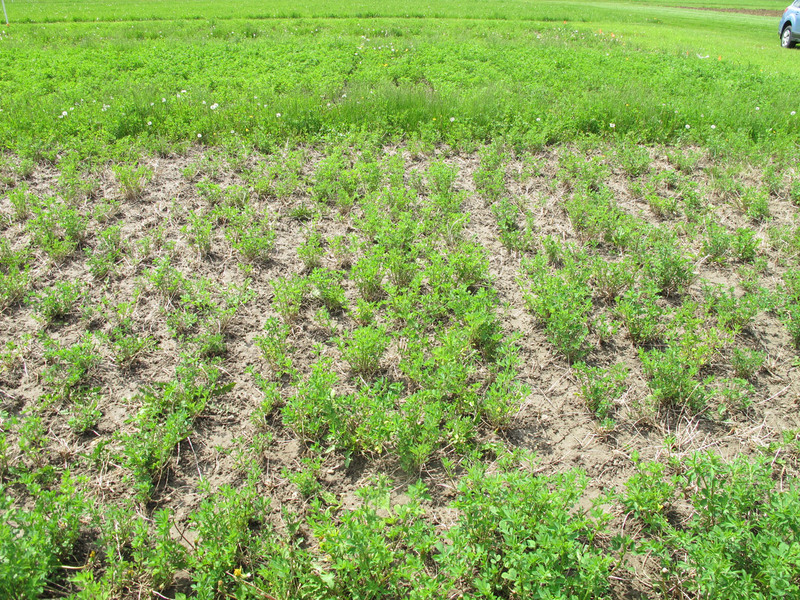 The Northern New York Agricultural Development Program has recently posted the results of a three-year study by Cornell University researchers developing alfalfa populations after exposure to the brown root rot fungus and ice sheeting at www.nnyagdev.org. The parasitic fungal plant pathogen Phoma sclerotioides is the causal agent of brown root rot that damages the roots and crowns of alfalfa plants, other perennial legumes, and overwintering grasses. “The plants that survive the winter of 2017-18 in a field with high brown root rot pressure in Northern New York will be excellent candidates for new cultivar development through successive plant breeding,” said project leader Julie L. Hansen, a plant breeding and genetics specialist at Cornell University, Ithaca, NY. 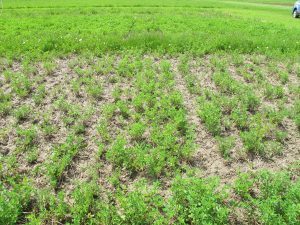 Northern New York field trials funded by the Northern New York Agricultural Development Program have shown that brown root rot-resistant alfalfa varieties grown in Saskatchewan and Wyoming perform poorly under the Northern New York climate and growing conditions. Brown root rot was first detected on alfalfa in the eastern United States in 2003 in Northern New York in Clinton County. It has also been found in Vermont, New Hampshire, Maine, Pennsylvania, and Ontario, Canada, with reports of alfalfa yield loss, winterkill, slow spring emergence from dormancy, and stand decline over time. The work to identify cultivars that have the best opportunity to grow under Northern New York regional conditions has new funding from the Northern New York Agricultural Development Program for research in 2018. Funding for the Northern New York Agricultural Development Program is supported by the New York State Senate and administered by the New York State Department of Agriculture and Markets. Project results are posted online at www.nnyagdev.org. The evaluation of 103 commercial corn hybrids in trials funded by the farmer-driven Northern New York Agricultural Development Program is now posted at www.nnyagdev.org. 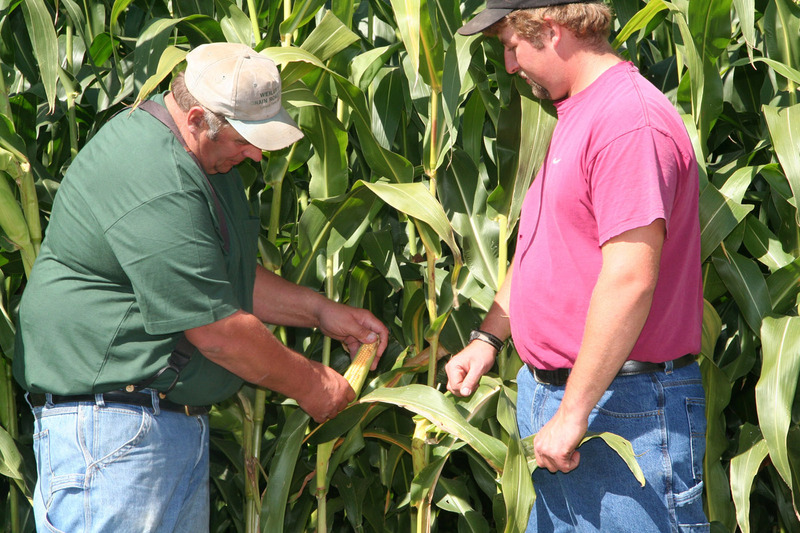 The trials under localized growing conditions help farmers select the corn hybrids best suited to their soils, agronomic practices, and needs, including use of the corn in a dairy cow diet and for production for sale to ethanol producers. “Over the past 20 years, corn acres harvested as grain in the six-county Northern New York region have doubled, reflecting availability of hybrids with good yield and adaptation in this shorter-season area. Highly productive grain hybrids that perform in Northern New York allow farmers there to take advantage of corn grain and ethanol markets,” said project leader Dr. Margaret E. Smith, a plant breeding and genetics professor at Cornell University Smith. The 2017 hybrid evaluation trials, planted at the Cornell Willsboro Research Farm in Essex County, W. H. Miner Agricultural Research Institute in Clinton County, and Greenwood Farm in St. Lawrence County, evaluated 103 hybrids ranging from 80-day to 110-day maturity corns. For silage, collaboration by hybrid evaluation projects across the Northeast, including the trials in Northern New York, continue to focus on key quality parameters’ related to fiber and starch digestibility. Smith cautions that farmers should select hybrids based on multi-year and multi-location data whenever possible. “Any hybrid can have a banner year or banner environment, but not necessarily hold up over different locations and growing seasons. Selections are best judged with several years of data under the regionalized growing conditions and the knowledge of one’s own soils, climate, and farm environment,” says Smith. Multi-year corn hybrid evaluation data are available in the Cornell Guide for Integrated Field Crop Management. For assistance, contact Cornell Cooperative Extension NNY Field Crops Specialists Mike Hunter, 315-788-8602, or Kitty O’Neil, 315-854-1218. Farmers in Northern New York have harvested an average of 145,000 acres of corn annually for grain and silage over the past four years. Funding for the Northern New York Agricultural Development Program is supported by the New York State Senate and administered by the New York State Department of Agriculture and Markets. Learn more at www.nnyagdev.org.